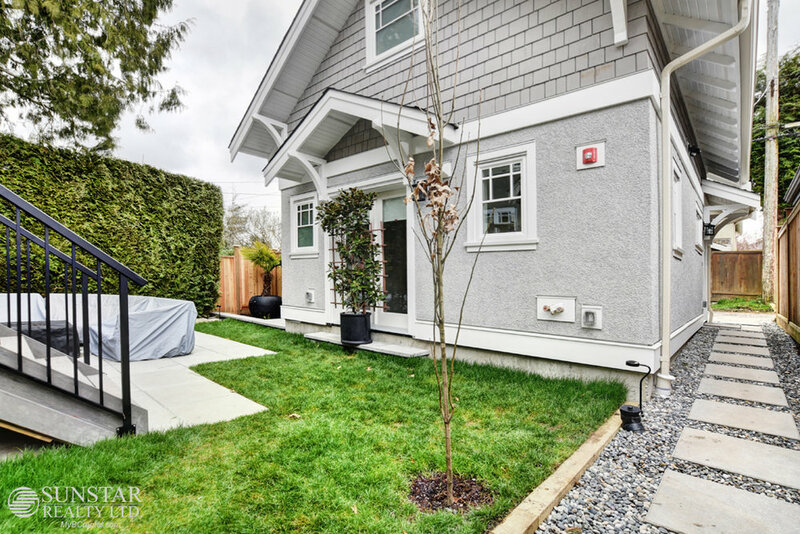 Point Grey 1 Bed 1.5 Bath 2 Level Furnished Laneway House $3250 — Lynn Swanson At a glance guide to all currently available fully furnished properties managed or represented by Sunstar Realty Ltd. Lease term: minimum 6 months stay (also available long term unfurnished). 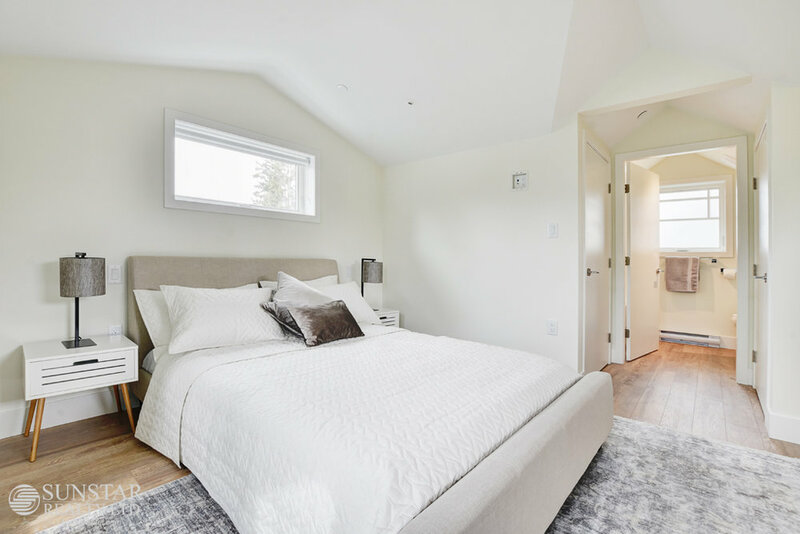 Included items: fully furnished from cutlery to linens; from flat screen TV to soap dispensers; fridge, stove, dishwasher, and washer/dryer; and high speed wireless internet. Not included: gas, electric ($100 per month), long distance telephone, additional cleaning & move-out clean. LOCATION: Beautifully situated in upscale Point Grey, this lovely home is walking distance to popular Jericho Beach, 3 blocks walk to Point Grey Village on 10th (Burgoo, Bean Around The World Coffee, Bella Roma Pizzeria & Ristorante to name a few), approximately 5-10 minutes to Kitsilano shopping and Beaches, 15-20 mins to downtown Vancouver, and short drive to the University of British Columbia. Pacific Spirit Park, Trimble Park, also nearby. Transit located on West 10th Ave. 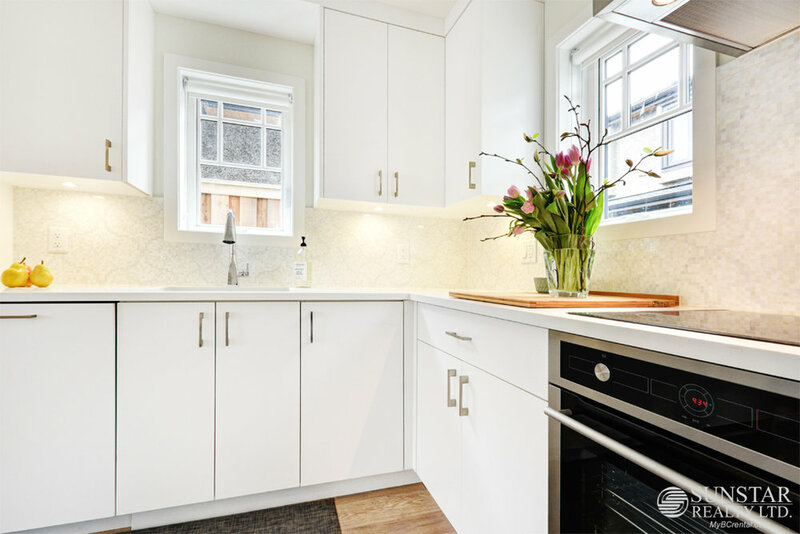 FEATURES: So charming and so beautifully appointed, this two level, one bedroom home offers an lovely open plan with kitchen /living and 1/5 bath on main. French doors and many thoughtfully placed windows on both levels (with roller shades for privacy) let light flood in creating a bright environment, even on a grey day. 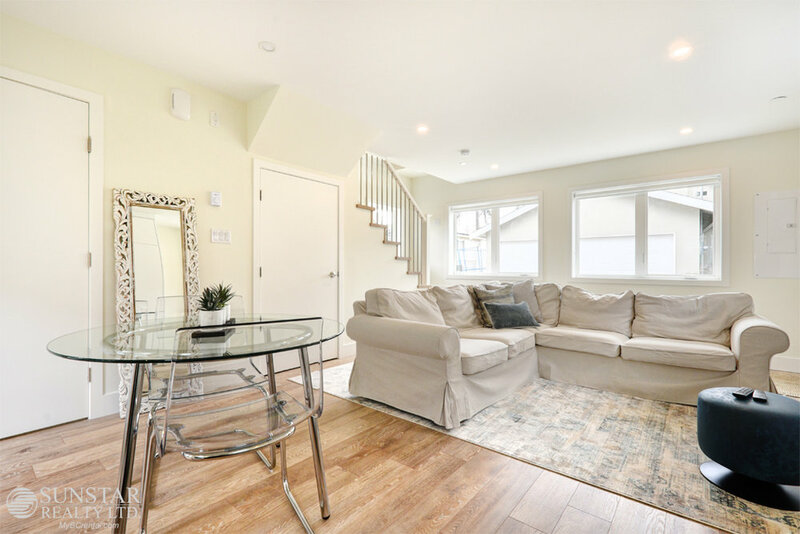 The Living room is comfortably furnished with a sectional sofa, electric fireplace, wall mount TV, large rug and coffee table. Kitchen is equipped with an Porter and Charles Electric range, Liehber integrated fridge/ freezer, Bosche dishwasher, white cabinets, cesarstone counters, a deep stainless sink (that can handle pots and dishes) and is furnished with a perfectly sized dining table with chairs for quaint dinners for two. Upstairs finds a Queen size bed, walk in closet, stacking Blomberg washer/dryer, a three piece bathroom and storage spaces,. 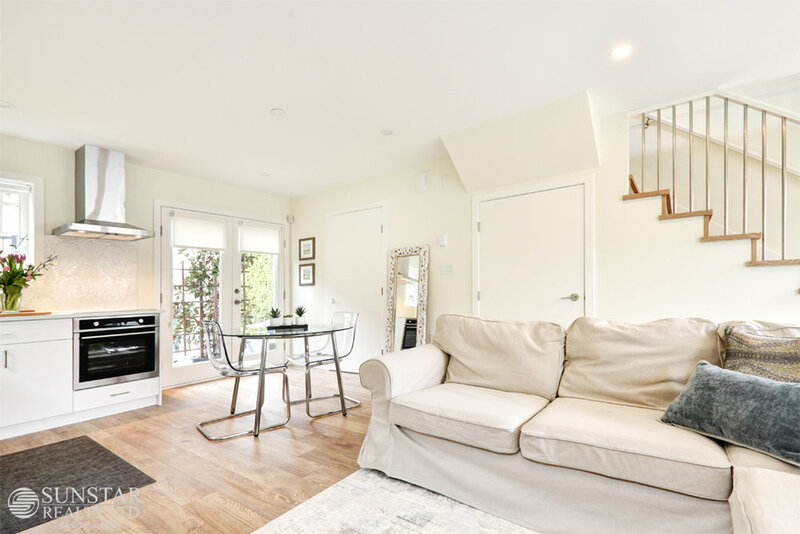 Beautiful, vaulted ceiling upstairs lifts the eye and creates a generous space, with windows for brightness and French doors that lead to a sweet Juliette balcony, furnished with plants for privacy. Other features include wide plank white oak hardwood floors throughout and lighting which can be dimmed for ambiance. One outdoor parking spot. Maximum occupancy 2 persons. Can also be available unfurnished, long term.